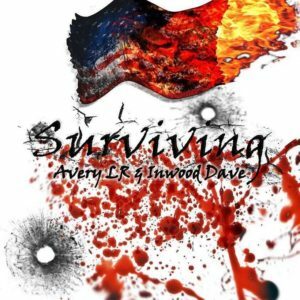 A tough sense of purpose informs “Chiraq intro,” the first tune of rapper Avery LR’s mix tape LP Surviving. It’s obvious Avery is rhyming from the street with his snapping percussion, overlaying of synths and doubled vocals. I like the horn synth sound under the same tempo on “All The Way Up,” a quick rap where Avery LR really describes where he’s from. Meanwhile the dulcet single note behind the “They Don’t Like That,” refrain slows the rap down, as we get an interesting read on Avery’s philosophy about going after what you want. A cautionary song about drugs “Same Difference,” has a swirly sad plinky sound, on what is probably the best tune here. “Panda,” has a sense of urgency to Avery’s kinetic delivery (though the same mid-tempo beat) and presents maybe the most bleak view of all these 25. “Never Surrender” has a soft piano under Avery talking about his personal life in the starkest way; it’s a hot sad ballad. “Niggas Got Me Fucked Up” presents the heaviest stomp on Surviving, though it’s not much more than the title repeated in various ways; still it’s another stand out. While “Fire” has some commercial samples making up its stuttering drum mix, the rap almost inconsequential. Hard street toughness and yes, uh oh, that word used over and over on Avery’s Surviving? Do you have the guts to listen?